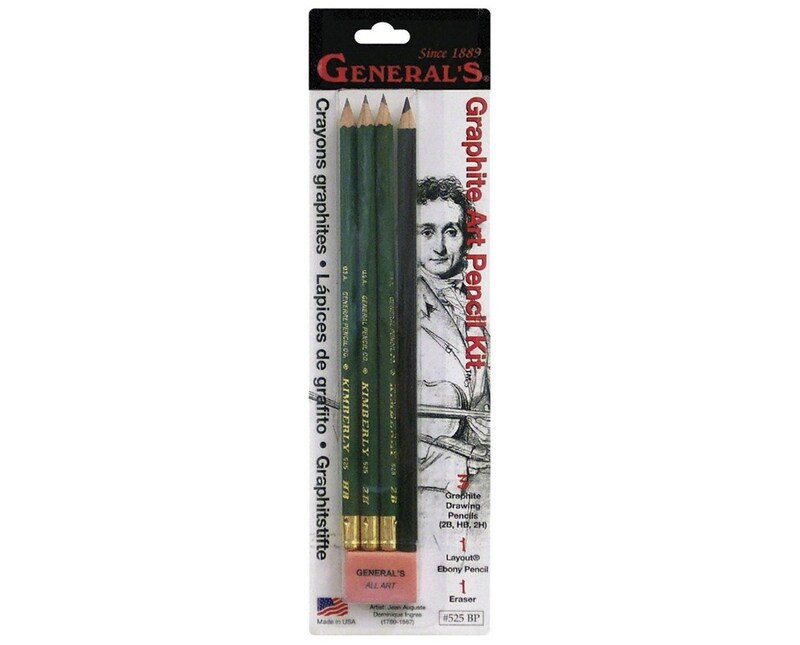 The General’s Graphite Art Pencil Kit is a functional and versatile drawing kit for all drawing applications. It contains artist quality drawing tools ideal for both beginners and professionals including three Kimberly graphite drawing pencils. 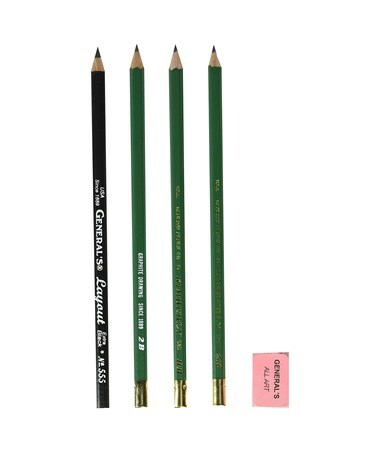 Each pencil comes in different graphite degree to accommodate a wide range of drawing needs. For outlining and sketching, it is equipped with one extra-soft and ultra-black Layout pencil. 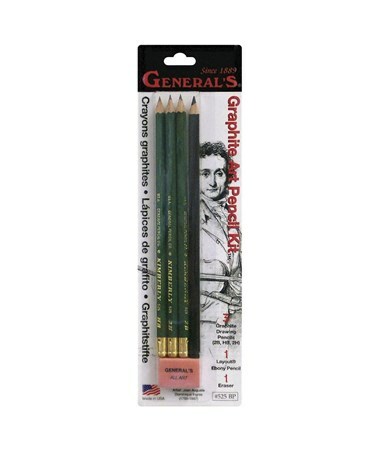 The General’s Graphite Art Pencil Kit provides durable and long-lasting pencils that feature incense cedar wood casing. They are designed for strength to allow easy and smooth sharpening without breakage. To complete the package, this kit is also supplied with a pink eraser for additional functionality.